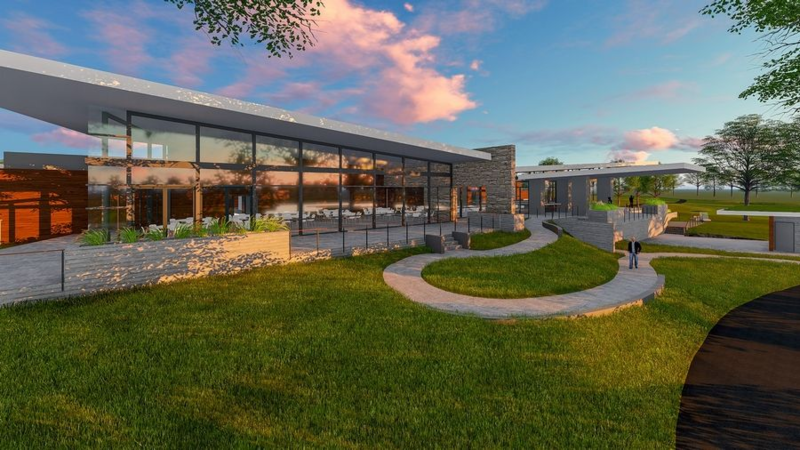 DuPage County Forest Preserve commissioners on Tuesday rejected an idea to install solar panels on a proposed clubhouse at The Preserve at Oak Meadows. But they agreed to expand the project to include the installation of a solar power system for a cart storage building at the district-owned golf course in Addison. "It's not a home run," forest preserve President Daniel Hebreard said. "I would like a better vision. But we did a great thing in adding a responsible environmental project to the construction project." The Preserve at Oak Meadows -- formerly Oak Meadows Golf Course -- had a clubhouse for decades until the structure was destroyed in a 2009 fire. Now officials are going to seek price quotes for a new structure. Construction of the clubhouse is estimated to cost roughly $12 million. That number could change once the results of the bids are known in July. If commissioners agree to move forward, the project would break ground in late September or early October. The board discussed the possibility of adding solar panels now so it could be factored into the project's total cost. Before the board made its decision on Tuesday, Hebreard advocated for the panels to be included on both the clubhouse and the cart storage building. "This is an opportunity for us to be a real environmental leader," the Woodridge Democrat said. But adding solar panels to both buildings would have increased the project's total cost by roughly $518,000, according to one estimate. And while the panels are expected to provide all the cart storage building's power, they would generate just 51 percent of the clubhouse's power. Commissioner Jeff Redick said the board has a responsibility to be good stewards of both the environment and the money it receives from taxpayers. "That involves an evaluation of what the value is for the dollars spent," the Elmhurst Republican said. Redick said the clubhouse will be environmentally friendly by using a green roof, bird glass (which reduces the likelihood of birds flying into the surface), sustainably sourced wood, and LED light systems. Adding solar panels to the cart storage building is estimated to cost roughly $166,000. The district may qualify for incentives to help pay for the work. Meanwhile, the course's golf carts would be fully powered by solar energy. "I believe it would be the first fully solar cart system in the Midwest," Redick said. "That is leadership." The clubhouse reconstruction comes two years after the district spent $16.8 million to improve The Preserve at Oak Meadows. That project included restoring a stretch of Salt Creek that flows through the 288-acre property and consolidating two golf courses into a single 18-hole facility with greater flood resistance and more stormwater storage capacity.